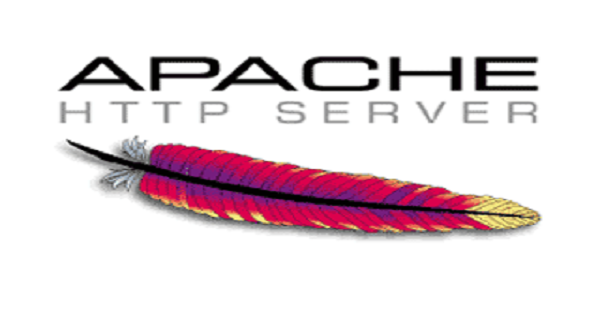 Apache is a modular web server that allows you to customize its capabilities by enabling and disabling modules. This provides administrators the ability to tailor the functionality of Apache to meet the needs of their web application. In this article, we will install Apache on a CentOS 7 server, confirm that the mod_rewrite module is enabled, and explore some essential functions. Before following this tutorial, make sure you have a regular, non-root user with sudo privileges. We will install Apache using yum, the default package management utility for CentOS. When prompted with Is this ok [y/d/N]: message, type Y and press the ENTER key to authorize the installation. With Apache up and running, let's turn our attention to its modules. Now press ESC to leave insert mode. Then, type :x then press the ENTER key to save and exit the file. A .htaccess file allows the defining of directives for Apache, including a RewriteRule, on a per domain basis without altering server configuration files. In Linux, files preceded with a dot (.) are treated as hidden. Before using a .htaccess file, we need to update the AllowOverride setting to be able to overwrite Apache directives. Next, create a .htaccess file in the default document root, /var/www/html, for Apache. You now have a .htaccess file that will let you define rules to manipulate URLs as needed. Before we get into writing actual rules, let's take a moment to review the basic mod_rewrite syntax. Pattern: a PCRE (Perl Compatible Regular Expression) that matches the desired string. [Flags]: optional parameters to modify the rule. The RewriteRule is the workhorse of the mod_rewrite directives, which is why we predominately focus on it in this tutorial. [Flags]: optional parameter to modify the condition. The RewriteCond directive does not allow Apache to consider any rewrite rules that follow it unless the particular condition evaluates to true. You should see a white page with About Us on it. If you remove the .html from the address bar and reload the page, you'll receive a 404 Not Found error. Apache can only access components by their full filename, but we can alter that with a rewrite rule. We would like visitors to the About Us page to access it without having to type .html. To accomplish this, we'll create a rule. Visitors can now access the About Us page with the http://server_domain_or_IP/about URL. ^about$ serves as the pattern that gets matched from the URL, and what the user types into their browser. ^ indicates the start of the URL, after server_domain_or_IP/ is stripped away. about.html shows the path to the file that Apache serves when it encounters a matching pattern. With a simple rewrite rule, we’ve added a dynamic aspect to how users can access the About Us page. Now that we have a basic understanding of rewrite rules, we will explore two additional examples in this section. Example files can be set up, but this tutorial does not include creating them; just the rewrite rules themselves. Web applications often make use of query strings, which are appended to a URL using the question mark character (?) and delimited by the ampersand character (&). Apache ignores these two characters when matching rewrite rules. However, sometimes query strings may be required for passing data between pages. We can achieve these results in one of two ways — through a simple replacement or matching options. The rule maps shoes/women to results.php?item=shoes&type=women. This matching option allows Apache to evaluate several patterns without having to create a separate rewrite rule for each one. We successfully expanded the matching ability to include multiple aspects of a URL. If you were to attempt to access the above URL with our current settings, you would find that the query string page=2 gets lost. This is easily fixed using an additional QSA flag, which causes the query strings to be combined. Modifying the rewrite rule to match the following will achieve the desired behavior. Now we're going to look at the use of the RewriteCond directive. If a rewrite condition evaluates to true, then Apache considers the RewriteRule that follows it. Previously, we saw Apache handle a request for an invalid URL by delivering a 404 Not Found page. However, instead of an error page, we would like all malformed URLs redirected back to the homepage. Using a condition, we can check if the requested file exists. This will redirect something like /admin/random_text to /admin/home. !-f the ! or not operator states that if the requested filename does not exist, then execute the following rewrite rule. This redirects any request that results in an HTTP 404 response to the error.html page. A RewriteCond can be used to allow access to a site by a specific IP address. This example blocks traffic from everywhere except 198.51.100.24. The entire rule states that if the IP address requesting resources is not 198.51.100.24, then do not allow access. !^(198\.51\.100\.24)$ negates the IP address. The \ backslashes escape the . dot, because otherwise, they serve as metacharacters used to match any character. The F flag forbids access, and the L flag indicates that this is the last rule to run, if executed. Though you can use other methods to block or allow traffic to your site, setting up the restriction in a .htaccess file is the easiest way to achieve these results. The mod_rewrite module is a crucial component of the Apache web server, and you can do a lot with it. However, things do not always go according to plan and when that happens you might find yourself with a redirect loop or an ambiguous 500 forbidden error. For tips on debugging these kinds of situations, review this StackOverflow post.